Inventory can be tough to manage for many establishments out there. The same can be said for school, a place to study for many students, if not, more so. All that equipment used to prepare the next generation for the future isn’t really all that easy to manage. Sometimes, schools need a little help with management for their academy equipment to keep their track inventory in check. We have just the thing to help you out! These 7+ School Inventory Templates that you can download in either Word or PDF format can help you manage your school inventory well. Having an organized list of school inventories can really help when it’s time to look at the inventory turnover. For many schools, inventory management is a must. When their equipment is disorganized and scattered, it can be difficult and time consuming to retrieve those equipment when they’re needed. Not to mention it’s rather untidy to not keep an organized supply. It isn’t easy to keep your school’s inventory in clean shape. The best way to manage your inventory is to know where it is exactly. Placing the right kind of equipment in the right kind of place can help you improve your inventory management. Also, assigning a person to keep an eye on inventory from time to time can help keep equipment in check. For that, you might want to use inventory templates in Excel. 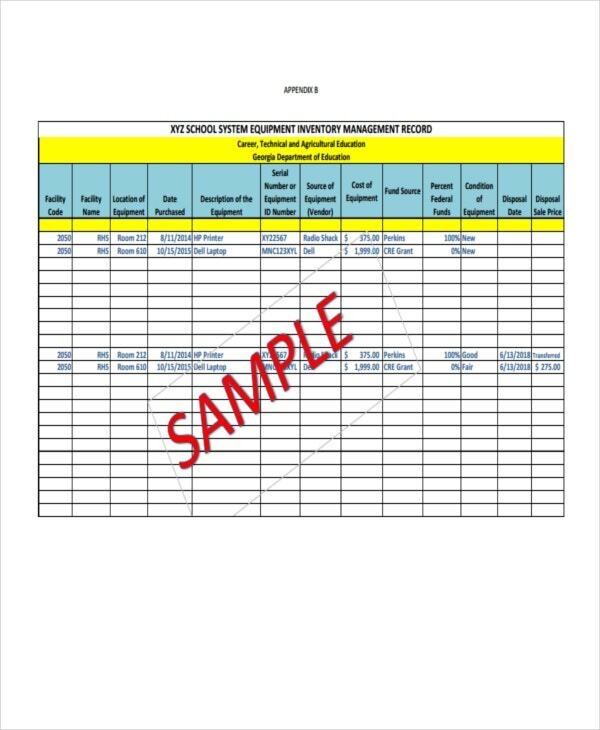 We offer you templates that can help you organize your school equipment. In order to have a proper inventory for your school equipment, it might be recommended to use different lists for different types of school equipment, such as uniform inventory templates for uniforms, or book inventory templates for books, journals, etc. 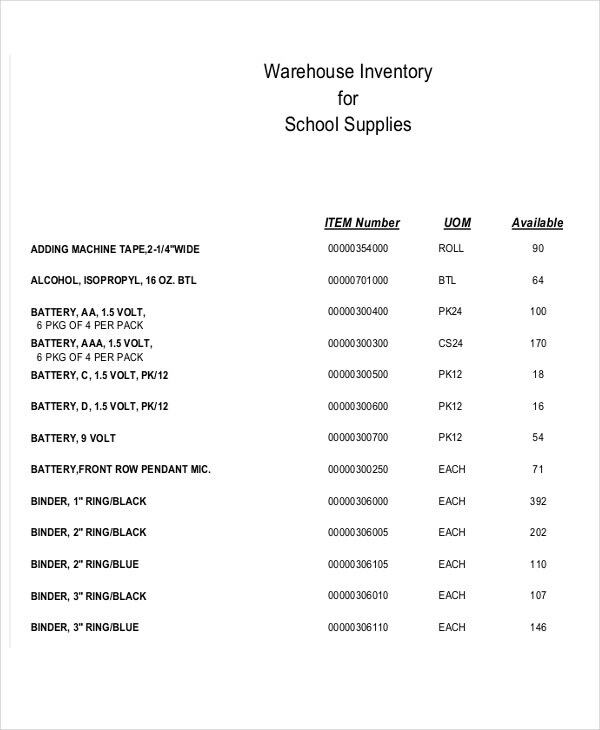 Once you have a specific set of lists for each type of equipment for your school, then following the proper format in an easy to understand by listing what the inventory contains on that list can make it easy for anyone to keep track of inventory. Don’t worry, the templates we provided can help you for that very purpose. 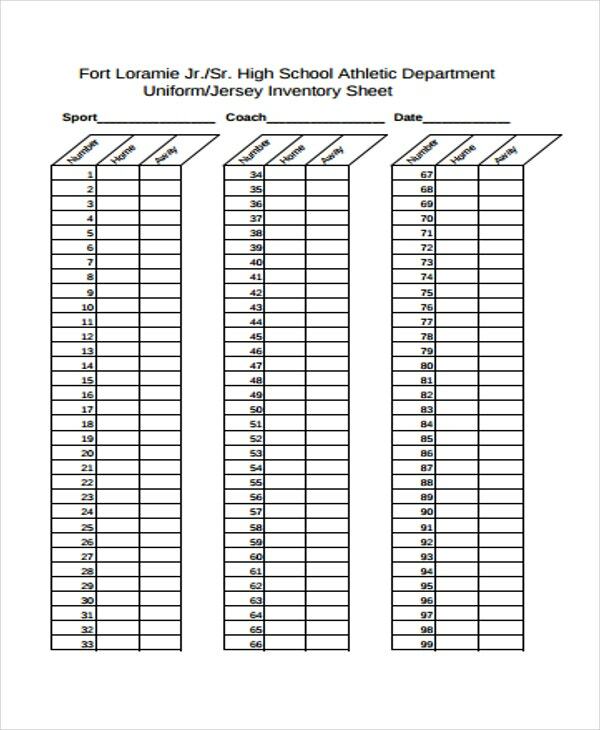 The inventory templates in PDF and Word format that we offer to you can really help make your academy a better place. 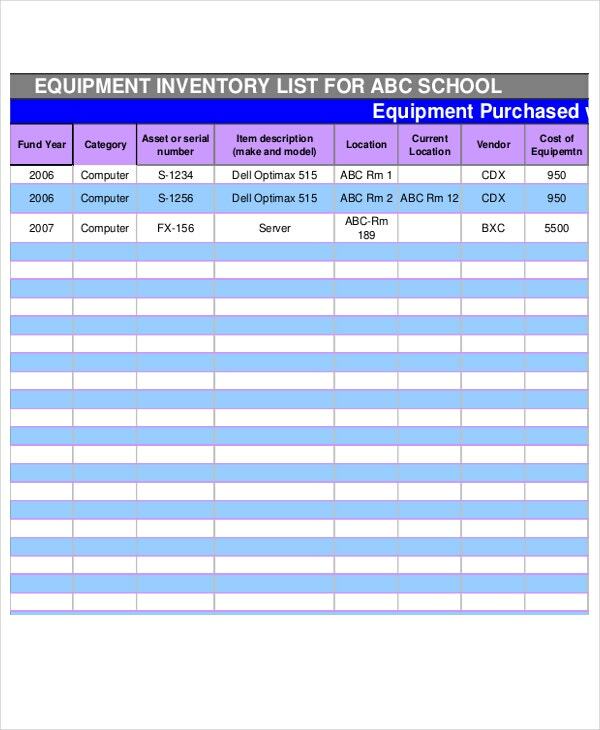 These school inventory templates can help you keep a better track of your equipment and supplies and make sure that they are all taken into account. 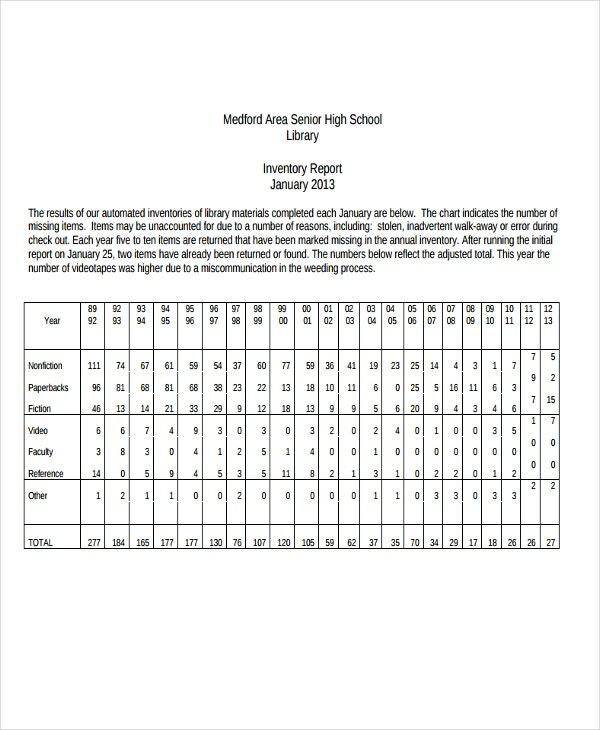 It wouldn’t be difficult to find them or keep your school organized when you have the use of these school inventories. 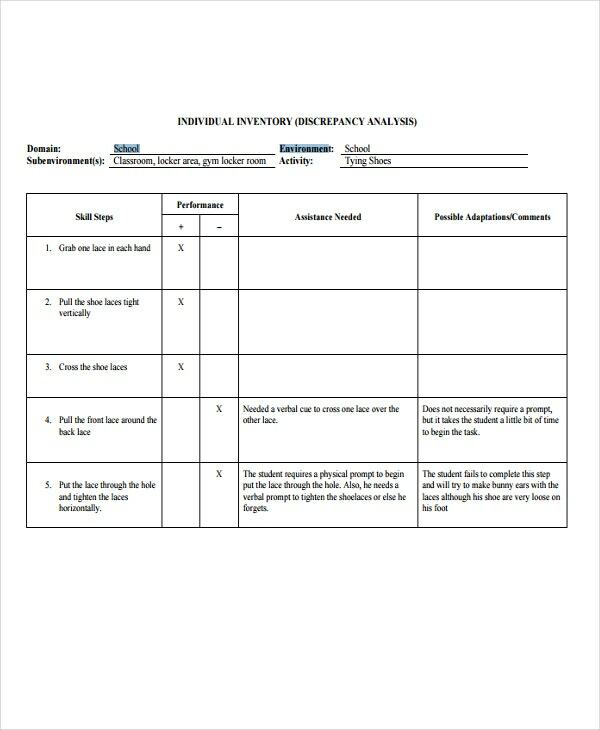 These school inventory templates are here for you to download so that you have a guideline for making school inventory. They are quite easy to follow not to mention professional and can be used by any educational institution. 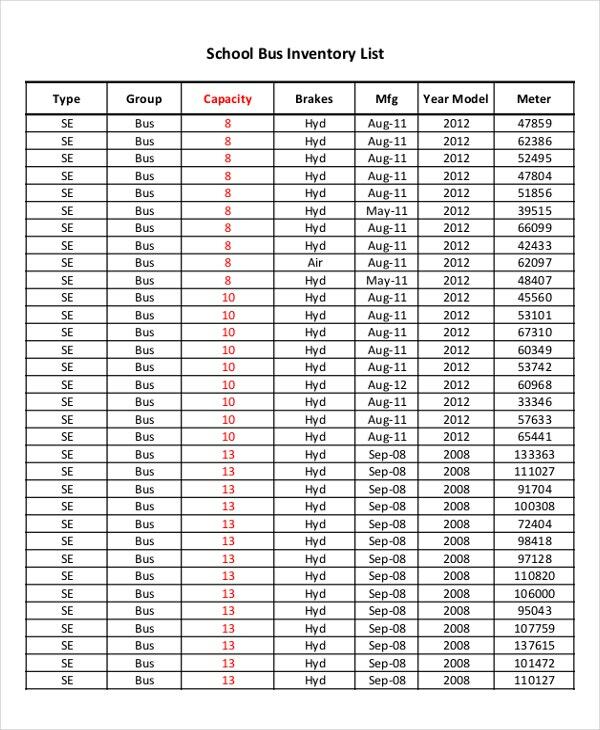 We have many available inventory templates just like these that you can use. 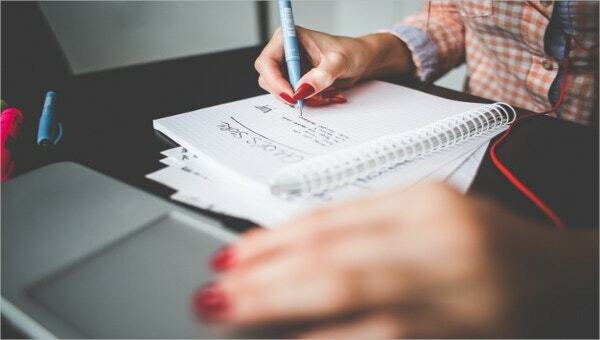 You might be in need of Access Inventory Templates, then in that case, we can provide. We hope that we helped you with finding the right template for your school. We only have the best of wishes for you in keeping track of your school’s inventory.